Who can resist the aroma of grilled meat? I know I can't! 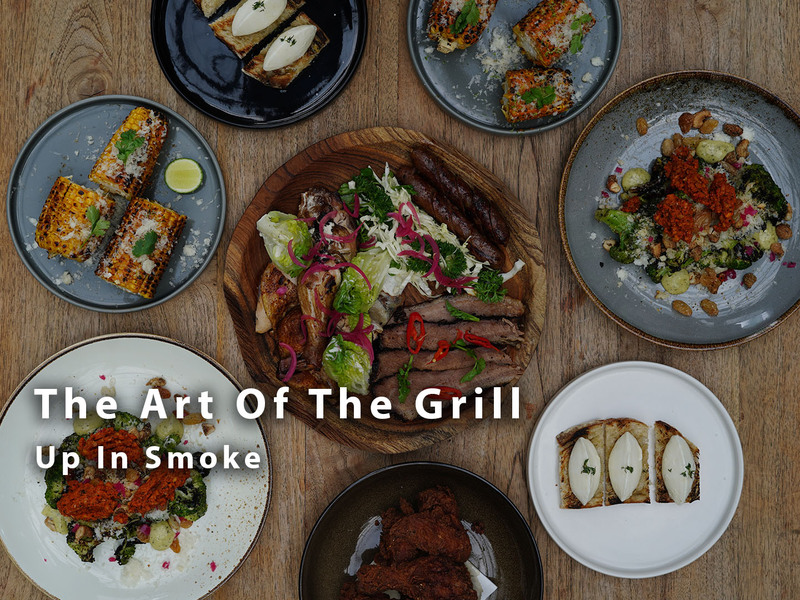 Recently restaurants specializing in grilled meat is quickly becoming a favorite among the Jakarta community. 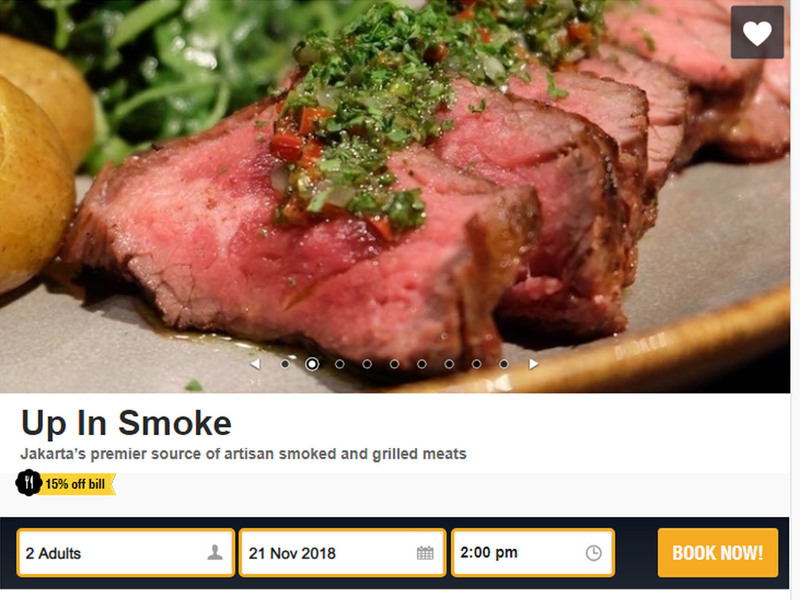 One of my top picks is Up In Smoke! 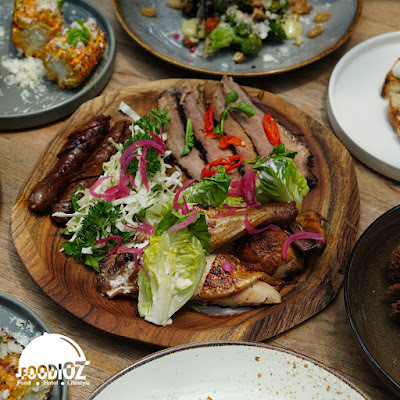 This exclusive and modern Western style restaurant is located in the South of Jakarta. It is decorated with a large area with dark colors to give a touch of elegance. Dish platter with two choices between 3 types of meat or 5 types of meat. Offering the sensation of enjoying various meats such as, Smoked Wagyu Brisket, Smoked Texas Jalapeno Cheddar Beef Sausage, Smoked 1/2 Chicken and many others. This menu will be perfect for sharing 2-3 people. Smoky aroma that goes well with the savory dressings. 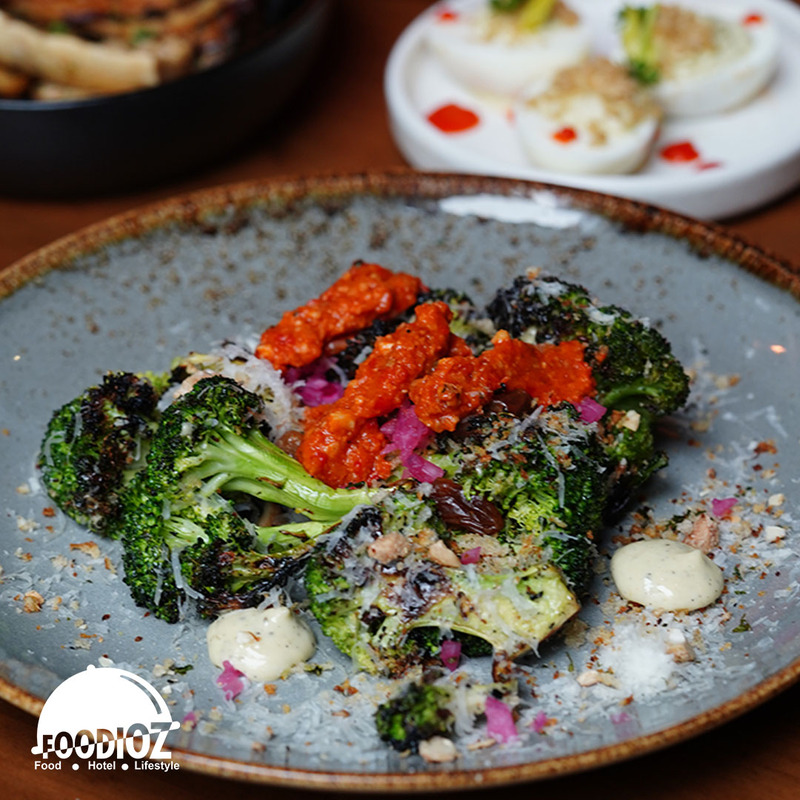 Aside from meat, there are also vegetable dishes such as Grilled Broccoli, served with spiced cashew and romesco sauce. The combiantion of a crisp texture and tangy flavor is definitely memorable. Cheese fans, this starter menu is perfect choice, toasted bread topped with thick cream cheese. 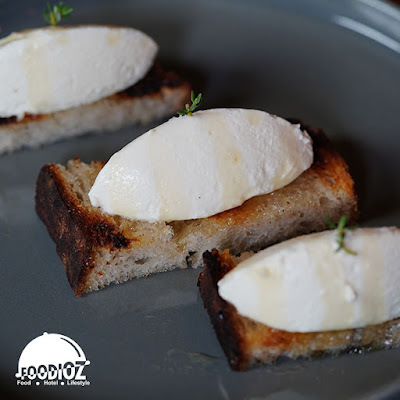 With a single bite, your mouth is filled with rich flavors from the the ricotta and the crispy toast. I like making sure that I have a table ready before heading to a restaurant. With Chope, the booking process is easy and fast. Besides that, there are various attractive discount promos. You can also collect Chope dollars that you can use for other benefits. Download the app and let me know what you think.